A day after the June 14 shooting, following a meeting with the girls' mother, Tory told reporters near the crime scene that he and the family were heartened by the fact that "the police are working aggressively and they're working with full resources deployed to track these people, these profoundly anti-social kind of sewer rats down." 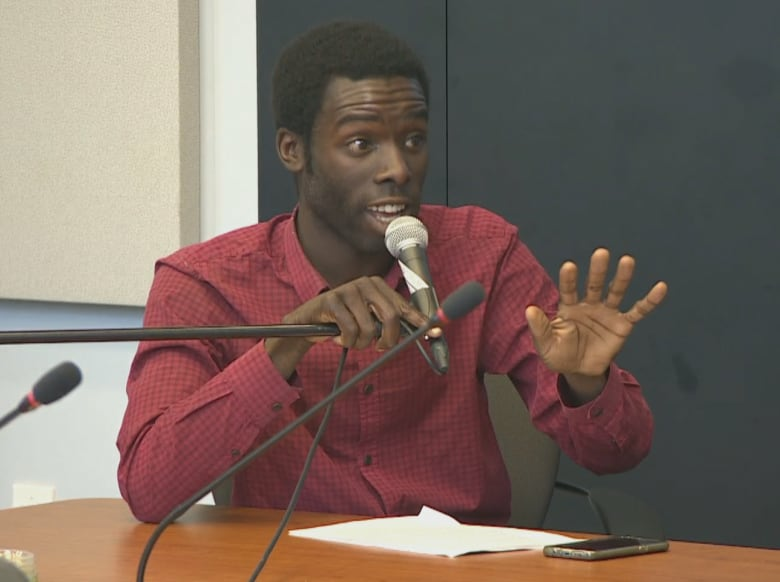 On Monday, Toronto journalist and activist Desmond Cole sparked an online debate about Tory's comments, asking the mayor in a tweet: "did you apologize for calling black people "profoundly anti-social sewer rats" or nah?" 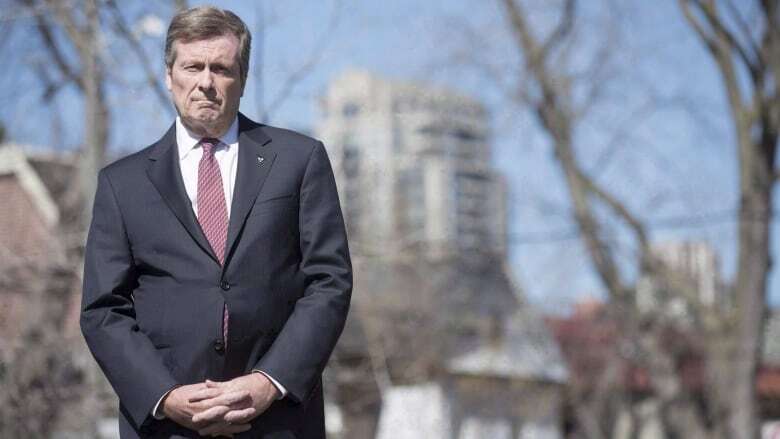 On Tuesday, the mayor defended his choice of words when asked by a reporter, saying the men responsible for the violence in the playground, in the area of McCowan Road and Alton Towers Circle, near Steeles Avenue East, posed a threat to public safety in Toronto. All three suspects are young black men. One has been arrested. Tory said he has tried to be "balanced" and "measured" in his approach to the problem of Toronto gun violence. "I will just tell you ... I look at people who willingly and knowingly carry guns in their pocket and use those to shoot other people as being people who are ... profoundly anti-social people," Tory said. "I was really angry that day about anybody who would show up anywhere in this city and brandish a gun and end up shooting two young children. I just think that those who, you know, play the race card and do other things like that in calling into question my description of those people should give their own head a shake," he said. "In the end, I knew nothing about who the suspects were when I said those words." The mayor said he has a productive and constructive relationship with leaders of many different communities and he is "only trying to help" to resolve issues. As for the men who perpetuated the violence, Tory said, "to me it doesn't matter who they are or what their attributes are, they are people who are posing a threat to our well-being in this city." Tory said the police are working hard to get the "gross offenders" off the streets. Cole said Tory's language is dehumanizing because he described the men involved in the shootings as vermin. Terms such as "thugs" and "gangsters," which Tory has also used, "exposes us to more danger," Cole said. "The mayor has unfortunately chosen to use the term 'sewer rats' to describe human beings in our city. I think we can agree that's dehumanizing. There's no argument there. But some people think that's okay because he's talking about people who are involved in a shooting," he said. "You can't support and bring back and reintegrate and rehabilitate people in your community once you have decided to give up on them and call them animals. "Once you have decided to dehumanize people in your community, there's no coming back from that." Cole noted that Tory has not described alleged van attacker Alek Minassian or alleged serial killer Bruce McArthur in animalistic terms. Minassian, accused of killing 10 people and injuring 16 others, and McArthur, accused of murdering eight men, are both white. "With gun crime, this is when the rhetoric comes out. How come thug and gangster and sewer rat is okay for crimes associated with black people but not for anybody else?" Cole added the mayor is "not helping" by using such language because it allows police not to treat black people with dignity when they are arrested, accused of crimes and incarcerated. "It's disgusting to me that we even have to have this conversation in the city of Toronto," Cole said. "But so easy are people to give up on certain people in our community, many of whom are black, that's this is where we are now." Ellen Berrey, an assistant sociology professor at the University of Toronto who has done research on the topics of culture, race, power and inequality, said the term "sewer rats" is not helpful or useful in solving a crime or addressing a social problem because it is a label. The same is true for the word "thug," which can convey an image of "young, scary, imposing black man, in a derogatory way," someone who is a threat to society, she said. "Words get used as code words, as racial dog whistles that signal something to some listeners or maybe trigger stereotypes that they are not consciously aware of but subconsciously are impactful," she said. "It undermines a broader goal of making the city safer," Berrey said. It's "disappointing and enraging" that Tory, the mayor of a large diverse city, is using such language because it is harmful, she added.